Citizens Ethernet Service is very similar to Metro-E (Metro Ethernet). We are able to offer symmetrical upload and download speeds to businesses, carriers, ISP’s, and asymmetrical speeds to residential customers. Our primary delivery method is fiber to the premise (FTTP). We offer Internet service as well as point to point and point to multi-point connections. Also we offer redundant and alternate/diversified routing to carriers, ISP’s, and businesses where their data connectivity is critical to their business. 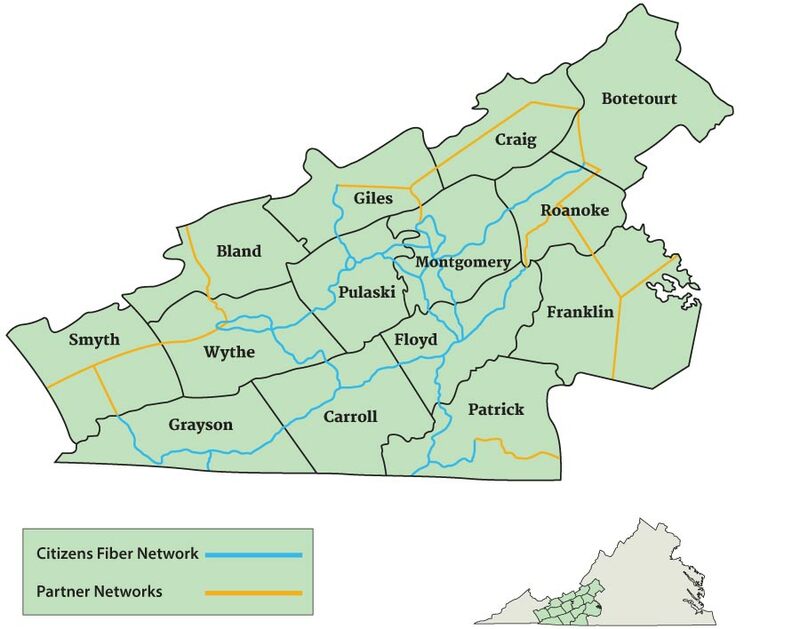 Citizens owns and operates fiber facilities in the counties/cities listed below. Also listed are the industrial parks that we pass and/or provide service to. In conjunction with our partners, Citizens can facilitate connections to virtually anywhere. We can help connect your local business to other locations whether they are local, regional, national or even global. Please contact us for more information or if you have questions about service availability.